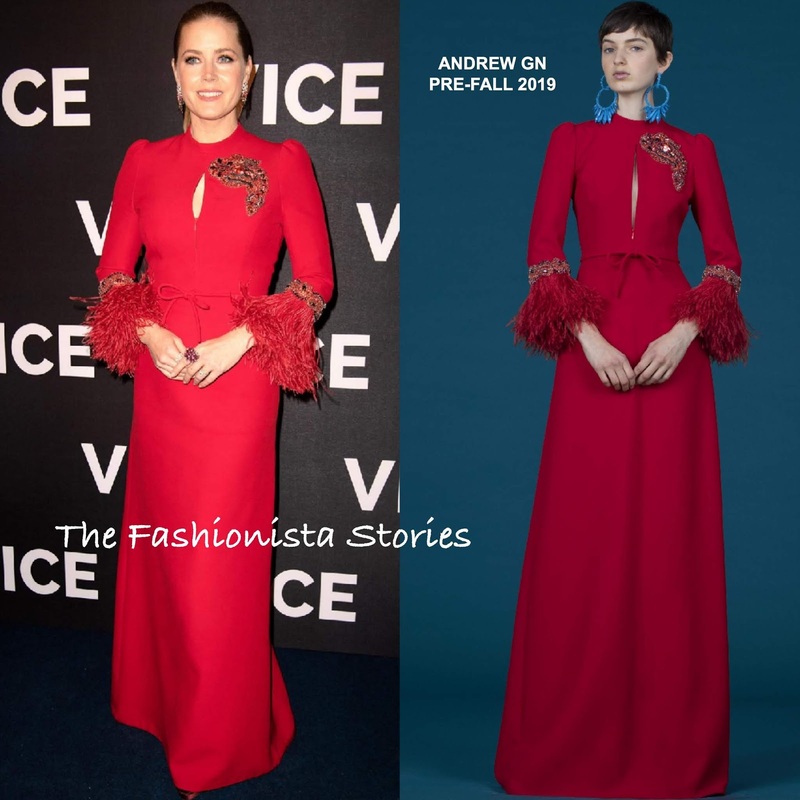 Back on the promo trail for her award nominated film, Amy Adams attended the 'Vice' premiere yesterday(February 7th) in Paris at the Cinema Gaumont Opera. Amy tends to stick to one silhouette, sometimes in boring hues but this ANDREW GN PRE-FALL 2019 has somewhat of a fresh approach. The red hue is what helps it to standout along with the details. The bodice featured a key-hole detail along with an glass beaded brooch and feather glass beaded cuffs. While this is not a wow moment, it definitely stands out more than some of her previous outings. She looked great. What do you think of Amy's look?